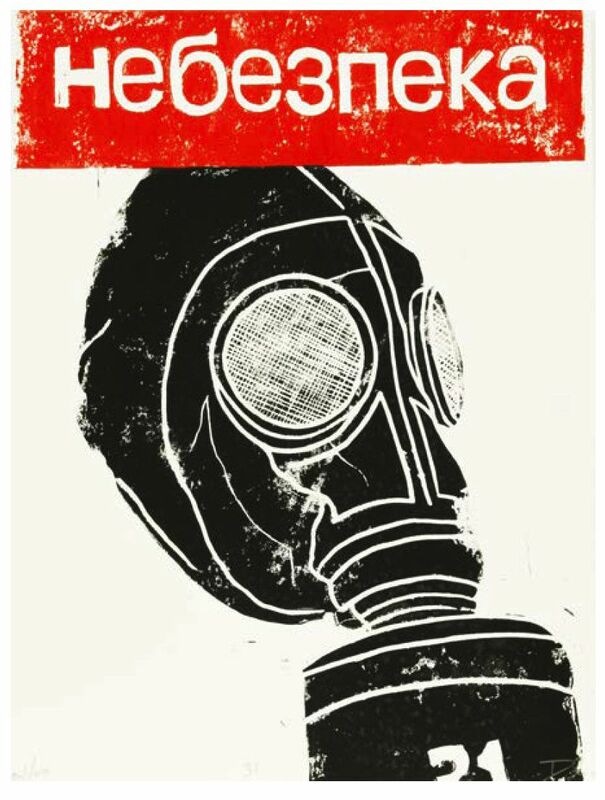 In cooperation with The Ukrainian Institute of Modern Art (UIMA) in Chicago, Art at the Institute presents a special exhibition of original prints commemorating the thirty-first anniversary of the Chornobyl nuclear power plant disaster. Organized by Walter Hoydysh, PhD, Curator and Director of Art at the Institute, and Stanislav Grezdo, Curator at UIMA, the exhibition frames thirty works on paper by thirty selected artists from the Chicago metropolitan area. On April 26, 1986, Reactor no. 4 of the Chornobyl nuclear power plant in Prypiat, Ukraine exploded, resulting in the worst peace-time nuclear disaster the world has ever witnessed. Two plant workers died on the night of the accident, and another 28 people, including first responders, died within a few weeks as a direct result of acute radiation poisoning. The World Health Organization stated that a total of up to 4,000 people could eventually die of radiation exposure and countless others from cancer related illness due to the Chornobyl disaster. Even after many years of scientific research and government investigation, there are still many unanswered questions about the Chornobyl accident — especially regarding the long-term health impact that the massive radiation leak has on those who were exposed, their offspring, and the environmental after-effects on generations to come. On the occasion of the disaster’s thirtieth anniversary in 2016, the UIMA commissioned a fine art print project and accompanying exhibition titled, Chornobyl: Artists Respond (April 1 – May 29, 2016, UIMA, Chicago). The UIMA invited thirty Chicago-based artists to participate in the project — each artist to create an original print in an edition of forty. Simply put, printmaking, which involves transferring an image from an inked plate to paper, allows for the production of multiples. The prints shown in this exhibition reflect a long history and tradition of utilizing the graphic arts to reflect and communicate socio-political messages and issues of historical and contemporary importance. Coming from diverse cultural, ethnic and social backgrounds, the artists were challenged to address the project deliberating on personal and global observations and judgements, and their subsequent interpretations of the Chornobyl disaster. The resulting artworks illustrate a range of motifs and themes, from scenes of the Chornobyl plant accident site and its immediate aftermath, to commentary on its current state and its weighty correlation to other worldwide nuclear risks and accidents. The artists’ viewpoints are as varied as the means they employed in the execution of their prints, from traditional relief, intaglio, lithographic, and screenprint techniques, to methods of additive coloring and material applications. While the exhibition and the portfolio are composed of a multitude of voices and perspectives, they are all united in a collective tribute. Though the Chornobyl accident occurred 31 years ago, what’s demonstrably clear is that the disaster and its memory are just as potent today. All works in the portfolio were printed in an edition of 40, in 2015, on Revere Silk fine art paper, signed and numbered by the artists, and measure 15 x 11 inches.